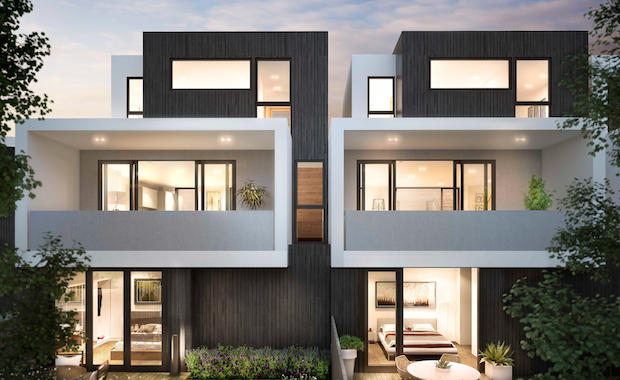 Hemingway Residences in Alphington has sold out just four weeks after launching to market in early April, equating to $47.5 million in sales. Chamberlain Javens Architects, the 9,160sqm site on the corner of Heidelberg Road and Perry Street in Melbourne will be transformed into 55 two- and three-bedroom homes across four chapters. With construction set to commence in early May, GURNERTM founder, Tim Gurner, says he is thrilled with the level of purchaser interest the project generated. “Sales momentum has been really strong since the project launched at the start of April. With an average sale price of $880,000, we saw strong interest for all homes ranging from $795,000 up to many over $1 million, proving strong demand for attainable, design-focused homes in one of Melbourne’s fastest growing and sought-after suburbs. “When we first priced the project it was challenging, as the quality of Hemingway Residences is not often found in an inner-city project. Now after selling out the project in only four weeks, our clients and buyers can feel confident that they secured great value for money in a prized location. “The project was not actively marketed internationally and was primarily sold to local purchasers looking to downsize and young second home buyers upsizing from apartment living, as well as a handful of investors looking to capitalise on the low supply of quality residences in the inner north”, says Gurner. The Hemingway Residences success story comes at a time of major expansion for GURNER™, which has purchased three sites in the tightly held Melbourne property market in the past four months. The company has also lodged plans for a $600 million Flatiron-inspired mega project in Brisbane's Fortitude Valley.